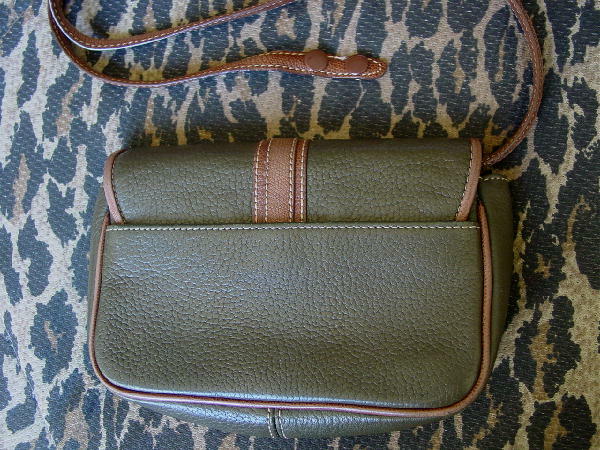 This vintage genuine leather purse is a Liz Claiborne Accessories. It has a black fabric lining, an interior zippered pocket, and a magnetic snap closure hidden under the front flap. 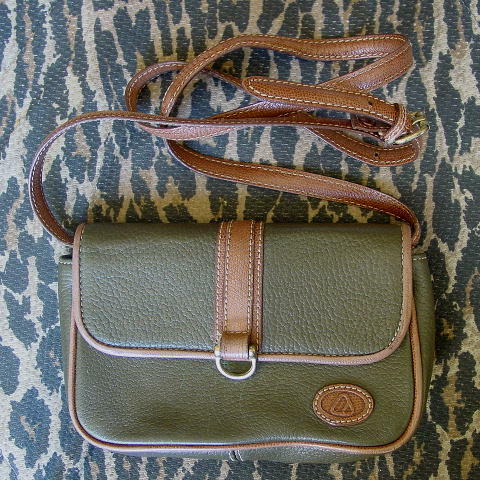 It's in a dark olive with accents in a light brown. There is a somewhat tarnished gold-tone ring on the front. The back has an open fabric lined compartment. It has a 48" long by 2" wide adjustable shoulder strap which has 2 snaps on each exterior side of the flap. You can unsnap the snaps and carry it as a clutch. The front has a few scuff marks.